For Meltzer, though, that nugget was only the beginning because he wanted “The President’s Shadow” to be about personal transformation. He said, “Over the past two books that I’ve been writing, I lost my mother and I lost my father. Both passed away and I think the last two books were really just me struggling to deal with that loss. When you lose your parents or you lose a significant person in your life, you really have to transform yourself. Once he’d decided on transformation as the book’s theme, Brad Meltzer began researching great transformative moments in history. “One of my favorite was with the killers of Abraham Lincoln. Dr. Samuel Mudd was one of the killers of Lincoln. He killed the greatest president of all time, got put in jail forever, and they took him to a secret island south of Florida that almost nobody knew about. 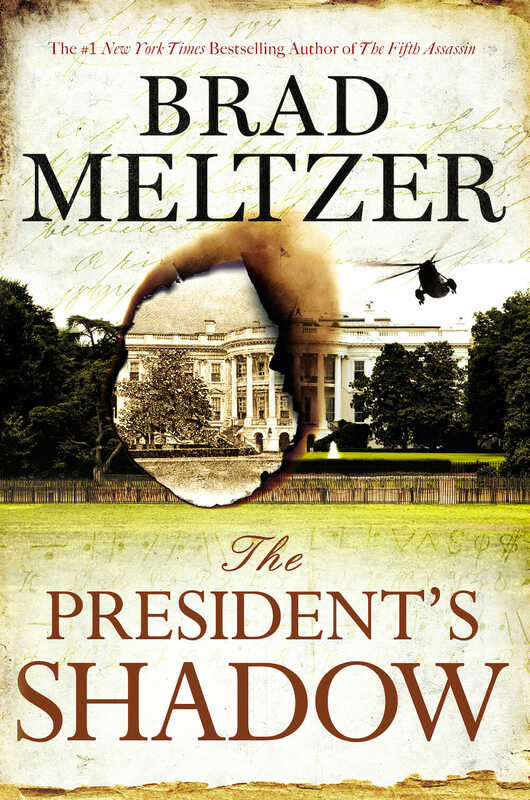 Despite that personal struggle, Brad Meltzer maintained his writing pace, style, and fan base. That fan base includes people in all levels of government, up to and including US presidents. As a result, Meltzer has access to details that delight readers who crave authenticity in their fiction. Those details include the fact that Ronald Reagan sometimes carried a gun in his briefcase. They also include Meltzer’s knowledge of secret rooms beneath the White House. Meltzer prides himself on being able to share such details with his readers. “I love that the book is fiction, but the details are real,” Meltzer said. “When you see the secret room below the White House that’s below the basement, you realize that there are almost as many rooms below the White House as there are in it. I love that you get to see those details and that you get to see Mount Weather and some of the locations at Mount Weather, which is one of the secret locations the Department of Homeland Security still uses as a safe house for the President in case something bad happens. Learn more about Brad Meltzer on his website at bradmeltzer.com. What: This month, Brad is giving away two hardcover copies of “The President’s Shadow” and I’m adding two $5.00 Starbucks gift cards. Two random entries will be chosen as winners. Each winner will receive a book and a gift card. When: Contest closes at 12:00 a.m., July 14. Winners will be selected on Sunday, July 14. Selected winners must claim prizes within 72 hours of notification. Verification of entries: All winning entries are subject to verification. Due to an error in the newsletter mailing, I providing The Snitch Bonus Code. Rather than send another email, I’m going to provide it to everyone this month. Next month, it will be back to business as usual and only The Snitch subscribers will have the code. I do get The Snitch, but couldn’t find a bonus code even after going through the 7/5 one several times! If it is in one of the hyperlinks, that would be nice to know. With the problems that the Secret Service has been having recently, they need some positive coverage, even if it comes in the form of a fictional story. It is too bad that the majority of dedicated agents are having to work in the shadow of the foolish actions of a few. I think this series is one of the best with a a Washington setting—keep them coming. I love the way Brad Meltzer thinks. Historical facts are fascinating and opens a whole new area when used in books of fiction. I’m currently reading Brad’s book, “Inner Circle”. Amazing! I find what happened to Lincoln’s killers fascinating. Going to have to read this book. Love the book’s premise. I’m always captivated by stories that are very realistic. It adds to the tension when bad things start happening. I’m looking forward to Beecher’s return. Thanks for a great newsletter and for hosting the contest. Thanks Suzanne! If you have any suggestions on how to make it better, please let me know. I’m always striving to improve it. congratulations on your award for “Con Game”! Thanks, Janice! I was pretty happy when I got the news. Another book to add to my TBR list, which is currently about the size of the yellow pages phone book. This sounds like another wonderful story that I have to find time to read. New author for me.Will have to give this a read. New Author for me. Great looking book! scam tips. Have a great day!! I have not read his books yet, but have watched his television shows, I am intrigued. Thank you for the chance! This sounds great. Very intriguing. Everything I read about this book makes me very interested in reading it. And, Terry, always enjoy your posts. Love the interviews you do and also the preview of books that I might want to read.